So you want your prayers to be in step with the will of God do you? I don’t blame you, too often we ask God as a last resort and we’re still struggling with what things we should pray for. Remember, prayer is designed to be a comfort to us. It’s like being able to talk to the king of the land and having favor with him. It’s a privilege to be in a covenant relationship where he has requested that when you’re going through rough times you talk to him about it. Prayer is not a wishing well or a Jeanie in a bottle. It is not a set up where if God likes you, he will give you what you ask. 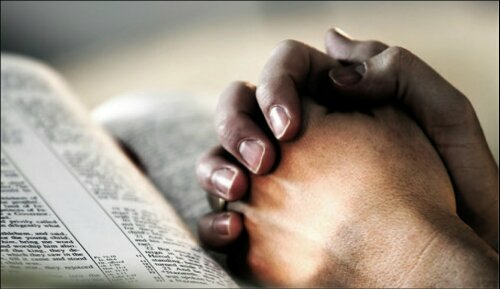 Prayer is not a way to gain material things that we want and it is vain to pray for things God has already granted. For example, for you to pray to God because some poor person needs food and you already have a house full of food is vain. God doesn’t expect you to rid the world of hunger. He just expects you to take care of the situations you know about. I have a family and let’s say I lose my job. God knows what I need before I ask. Well in a covenant relationship, I need to thank him for the job I know he has purposed for me. Why? Because the Bible says if a man does not work, he doesn’t eat. And a man that doesn’t take care of his family is less than an infidel. So, I can be assured that God has prepared a way for me to take care of the family he gave me so no panicking! Just simply be relentless in search of that job because faith tells you it’s there. When someone is deathly ill and we pray for them, our prayer should be one that is honest, vulnerable and direct. There is no way to know if it is time for the sick person to die. All we know is that death is common to man and therefore all must die. My prayer would be to let God know how I feel and then let him know that I trust his decision and that he knows best. There is nothing wrong with asking God to heal someone, what makes it bad is when God has revealed his will and we don’t accept it. God is still GOD when things turn bad, when death visits our house and when we are at our lowest point. He still works things out for our betterment. If we really understand this, then all of our prayers will be of faith. And remember faith comes by hearing, and hearing by the word of God. Bro. Mayberry you in the Church of Christ put the scripture the statement that you made but i like your statement. Love it, Love it!!! Thank you, Clyde!